Look what the postman brought me, a nice new 996 roof panel. I have a few jobs I want to get finished before I take the old roof off, but I didn't want to get stuck in until I knew I had the panel, it has been on back order for months. 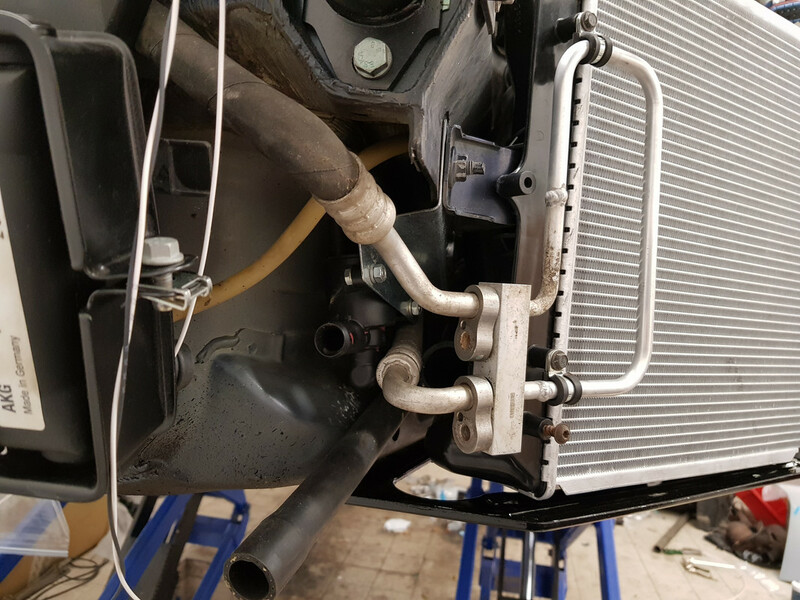 With the centre radiator bracket fitted in front of the GT2 ducting there was about a 20mm gap all the way along the underside. 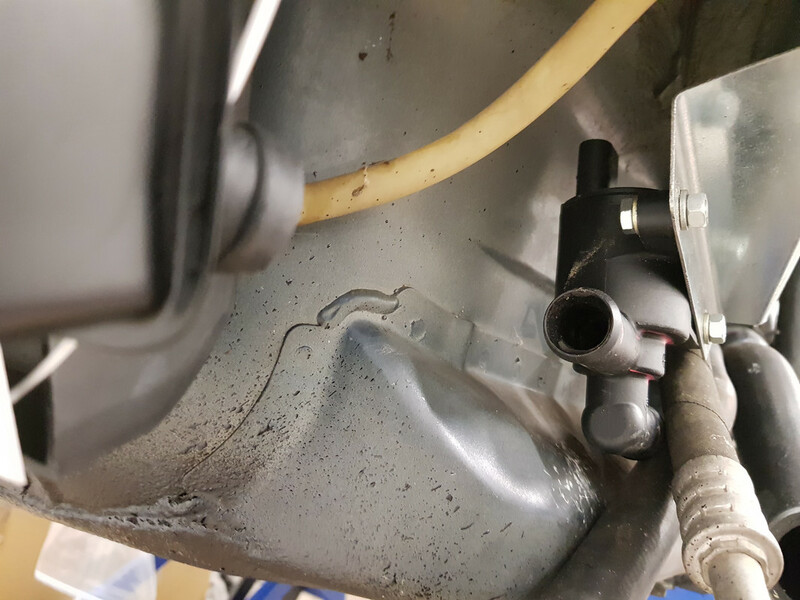 With this large gap there could be a tendency for air to come out of the radiator and go underneath the car rather than on top, although the air pressure on top should be lower anyway which would help it go the right way. 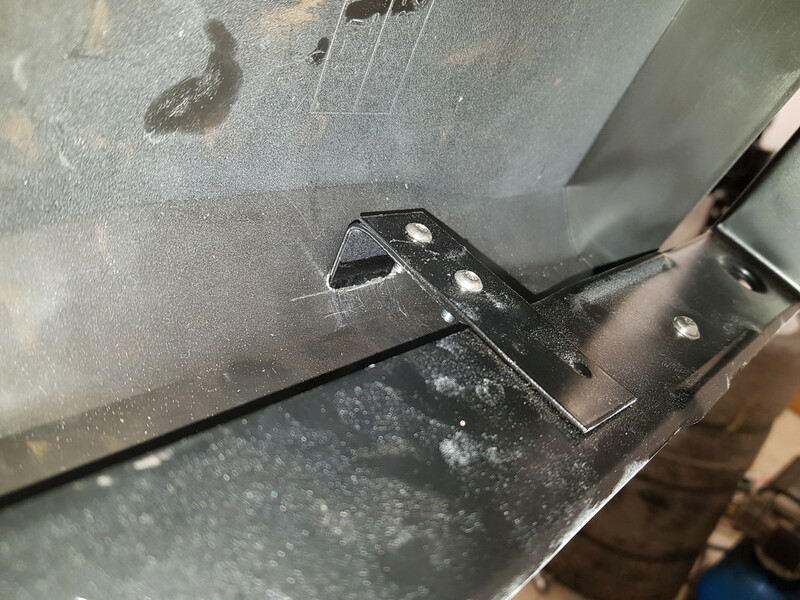 Just as an extra bit of help I bent up a piece of aluminium to fill the majority of the gap up. 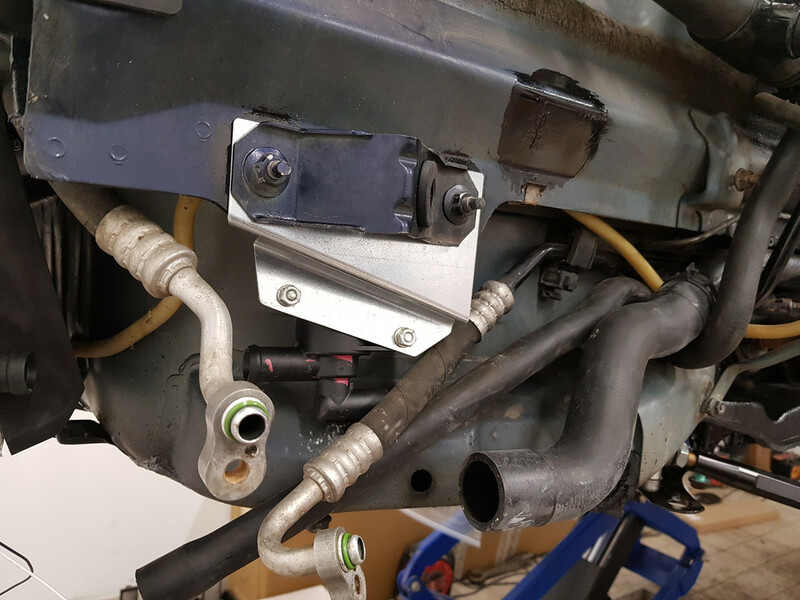 The fabricated brackets for the bottom have now been painted and screwed in place as well, so this is now ready for the radiator to be bolted in. No worries, I have kept myself busy anyway Have you got any tips on roof removal / refitting? 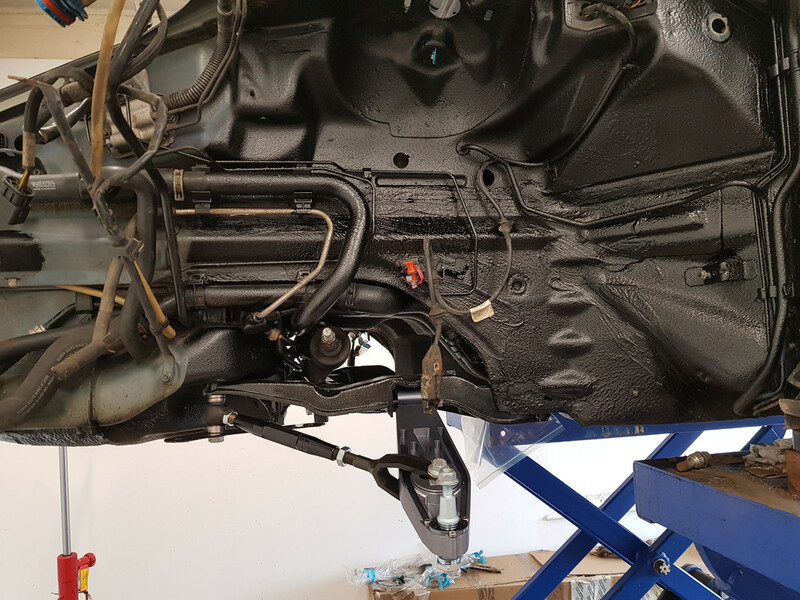 After a lot of back and forth Porsche (via D911) agreed to send out the "identical/discontinued" alternative part..... that one was a closer fit, but still didn't fit with german precision! 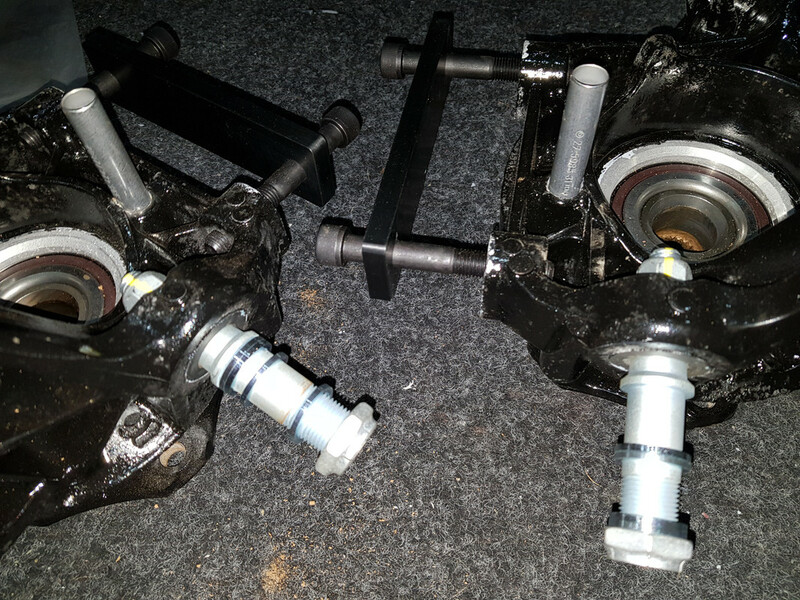 Started putting the subframes back on the car. No massive rush as I'm still waiting for suspension parts, but st least I can get the rear done. I have finished the wiring loom for the third radiator controller. 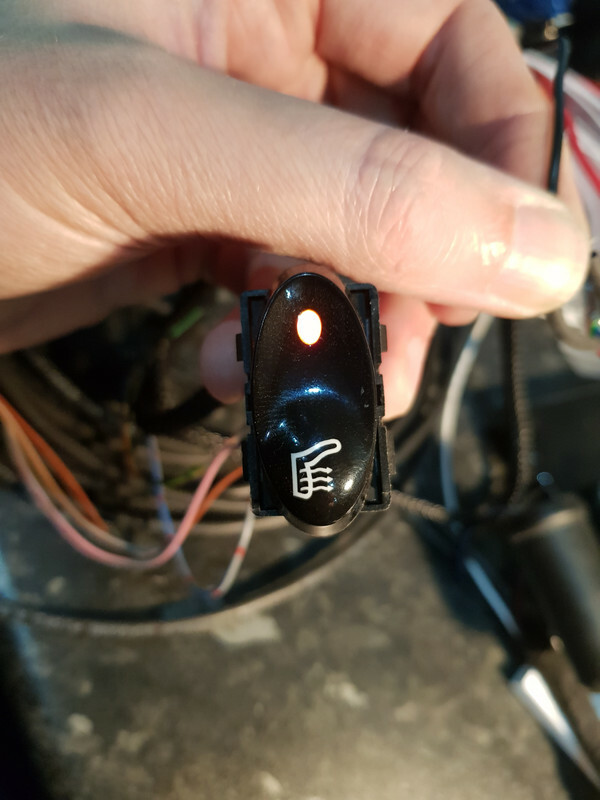 I wanted this to automatically turn the radiator on above a certain temperature, give an indication to the driver for this, and also allow a manual override. For the switch I used a heated seat switch as it has two different colour leds in it, plus backlight. I had to modify this as it runs a common gnd and switches to that with 12v needed to drive the leds. I needed the opposite so the leds were unsoldered and turned around. The feed for the second led comes in on a swtich contact but I needed it on the other contact so a track was cut and wire link added. Finally I had to stop it operating in the off direction as I am using a timer to turn it off, some simple pieces of card do the job here. In operation the swotch shows yellow and red when operated by the thermostat and yellow only when on the timer. The time is adjustable but I will probably set to 5 minutes. This is only really needed for when bleeding the system. Complete system consists of two relays which will mount in the fuse box, the switch which will go in the horseshoe, the thermostat in the return line just before the engine thermostat, and the valve which goes inline at the inlet to the centre radiator. The thermostat will be set such that when open the temperature is still above the thermostat opening temperature, so with a 78 degree thermostat something like 95 degrees. Have you thought about setting the new radiator to come on with the low speed fan? Yes, but I will have aircon on the car and the low speed fans run whenever this is turned on. By the time the high speed fans come on it is getting pretty toasty. Besides, that would be way too simple. Good points, that's about the temp you want though. I'll look in to it, I did think of having a switch to switch the temperature gauge between water and oil, but your idea would also work well. 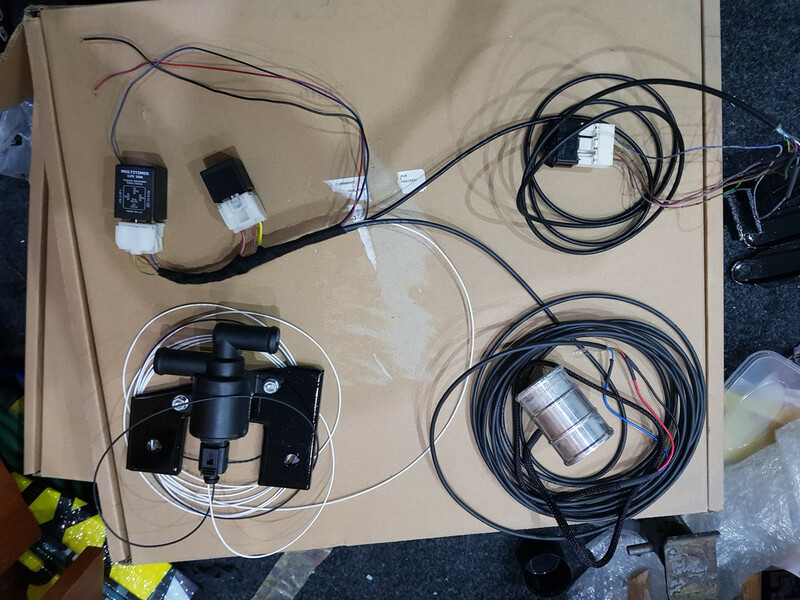 I finished testing the solenoid using a hot air gun to trigger the thermostat, it all works nicely. 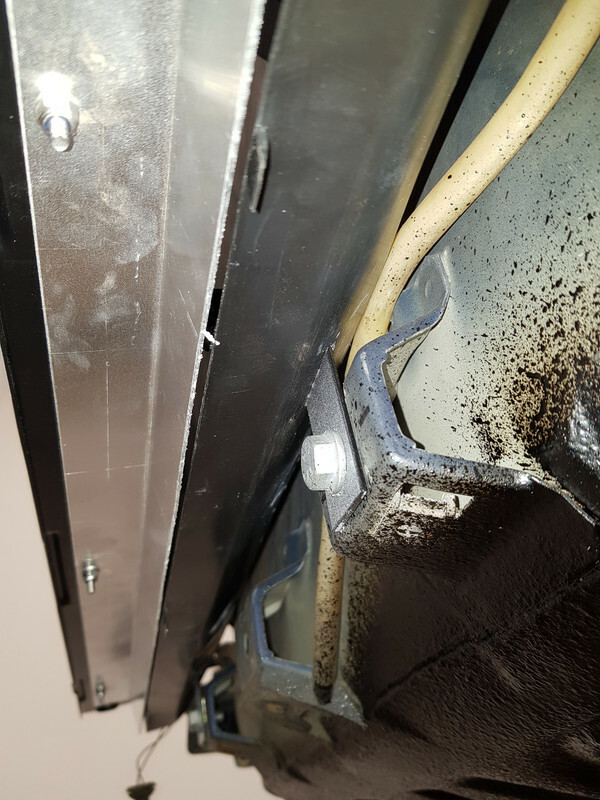 Unfortunately when I came to fit the bracket after painting the radiator brackets I found there was interference with the air-con pipes, and the outlet from the solenoid didn't line up very well with the inlet to the radiator. So time for a new bracket. This moves the solenoid further back and down, and rotates it slightly. As you can see it now fits and lines up. 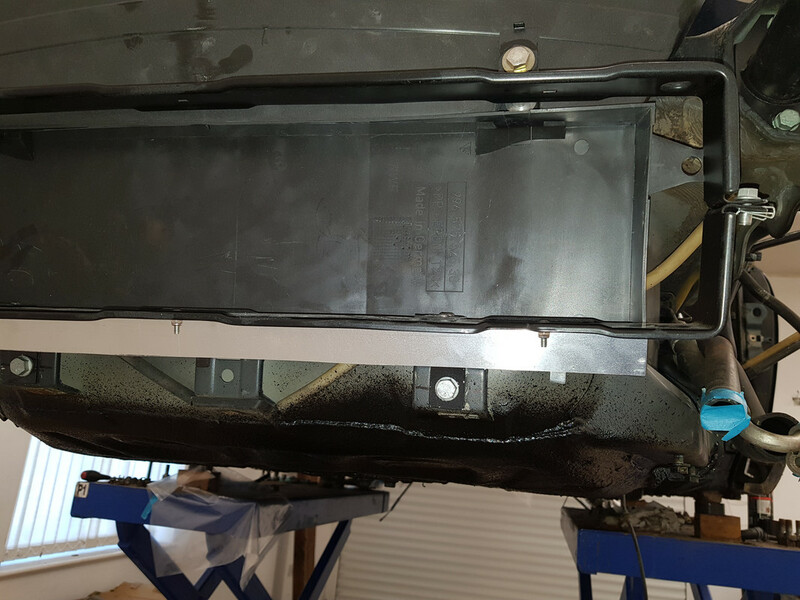 I was hoping to keep the water inlets at the top of the radiators so that they are easier to bleed, but that caused even bigger clearance so they will go at the bottom. This is how they are on the GT2 so I doubt it will be an issue. The radiators will be vacuum filled and there is a bleed on the top in case I want to manually bleed them. 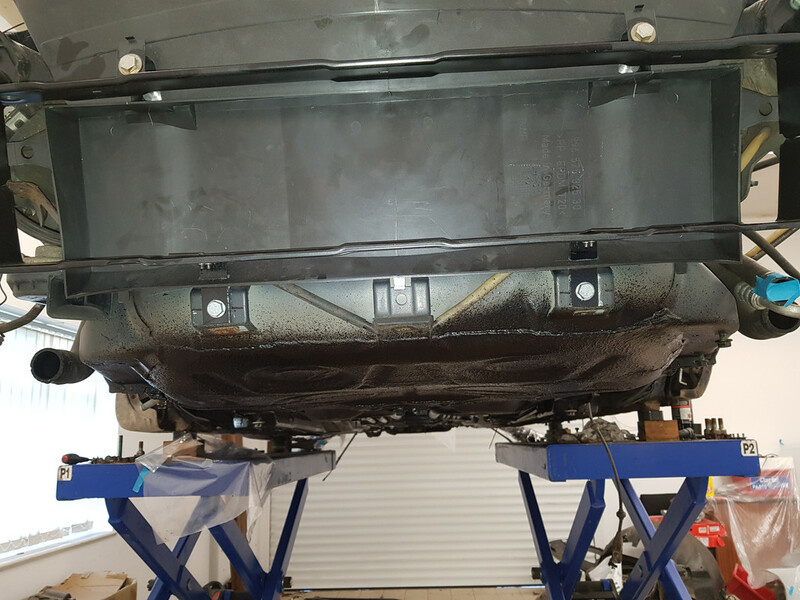 The drivers side needs a little bit of extra pipework to make that fit, that will be shown when the parts arrive. 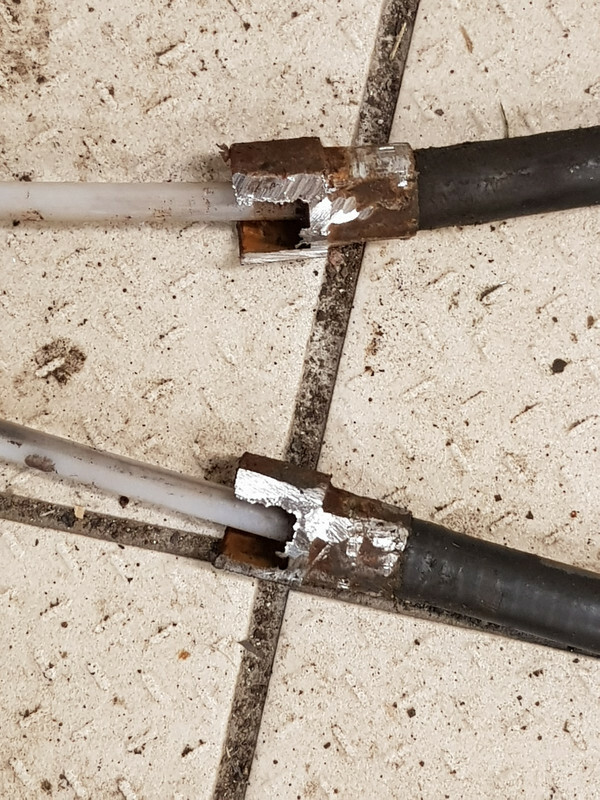 One of the handbrake cables needed to be changed so I thought I would do both. After about an hour and a half I managed to get both sides off, it was far from easy. The tubes on the car will be cleaned up and protected before the new ones go on. Looks great. I'm new on here so just getting a chance to read some of the threads. Some very helpful info on there. The return side of the front radiator is plumbed in. 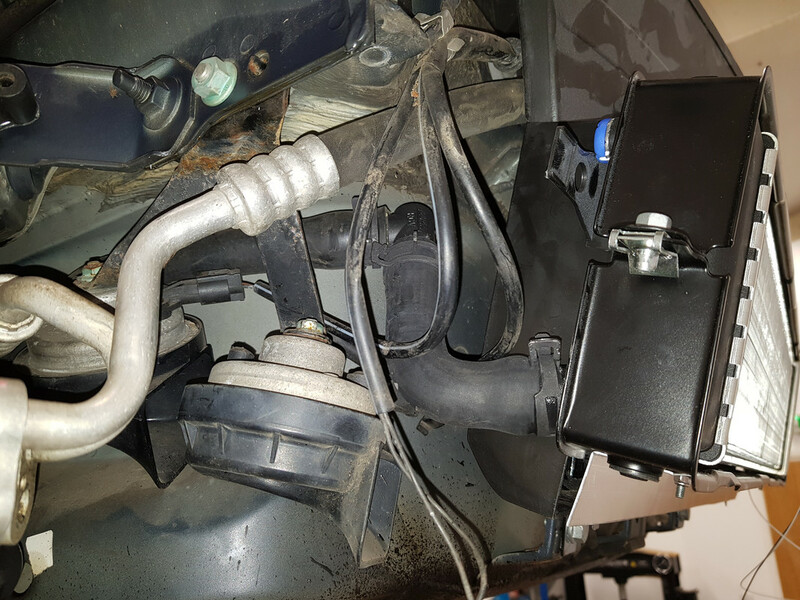 I needed to use a 90 degree bend and an elbow to get from the new lower outlet on the radiator back up to where it should be, whilst avoiding the horns. I'm loving the rad controller. Clever stuff. 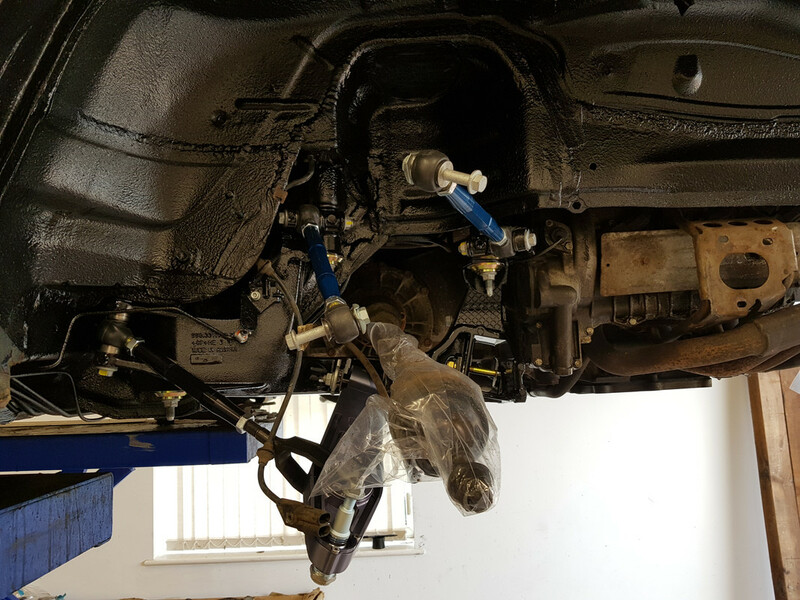 Torqued up the RSS studs before fitting the rear hubs so I can get in with the torque wrench. 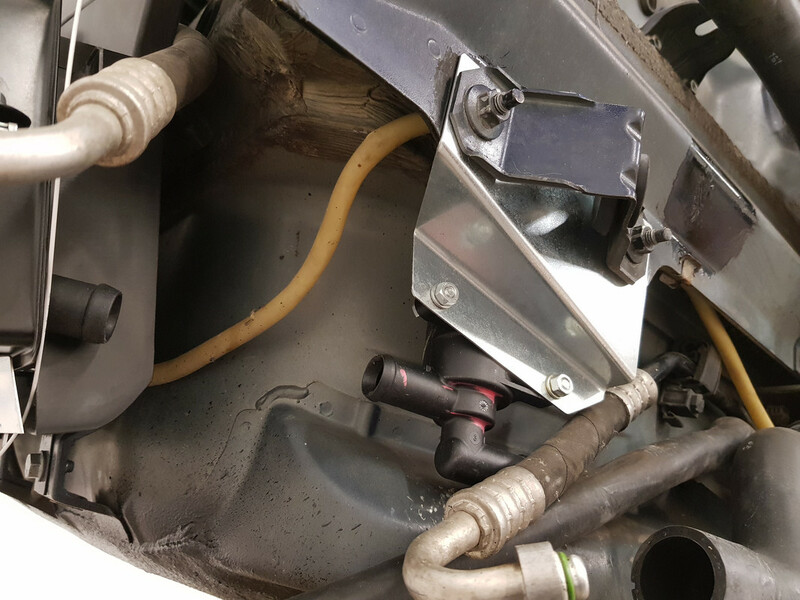 New handbrake guide tubes fitted.